This is another bi-weekly feature. It combines my love of weird old commercials with my love of weird old beer. It is the closest we at The Beer Hole will ever come to being informative. Nichols and May were the first comedy duo to make it big out of Second City. Nichols is Mike Nichols, who has gone to become every east coast drama teacher’s favorite film director. May is Elaine May, who went on to direct a handful bizarre, heartbreakingly nihilistic films that were all unfairly received (including Ishtar, which totally isn’t bad). Notice how initially you assume that Nichols, who is speaking in a timid frogvoice, will be the weird one. May’s reactions are “straight,” in that they were indicative of the actual conversations going on at the time. Only she exaggerates slightly from real life, makes the gaps in real-life logic more comically obvious. Here, the absurd character’s job is to point out the greater absurdity and hypocrisy of the normal character. It’s a really beautiful bit, and indicative of the genius of their work. Naturally, the pair began doing voiceovers for beer commercials. This was back when over 30% of TV commercials were animated, and the low budgets given to commercials allowed animators to be much more adventurous than the tight confines of the studio system allowed. 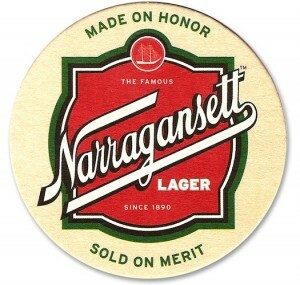 Nichols and May did ads for Narragansett, which is a beer named after a town which is named after a slaughtered indigenous people. Unlike the rehearsed improv of their comedy bits, the beer commercials appear to be direct, mumbly improv. This, unfortunately, is where my mumblecore comparison comes in. The ads are mostly buildup, with the pair feeling out one another’s characters and then trying to find some room for a joke. But then instead of getting rolling with the joke, all you get is the initial recognition of the joke. Like, hey, this could be funny if we kept going with it, but we won’t, we’ll just stop. These commercials are most notable for their striking but minimalistic style. This was a style that was quite popular in the mid fifties through the early sixties. I think of it as Fifties Modernism. It was a style of American animation built upon European and Soviet styles. It was different from the predominant, Disney-esque style in that it made no pretensions towards realism. Most innovations in the Disney paradigm had to do with minor tweaks upon what was accepted (like the self-consciousness rubberiness of Bob Clampett’s characters). This low-budget fifties style represented a radical break from the Dinsey paradigm, and the result is often quite pretty.